Or use the corresponding entry (north-east) in the marking menu on the workspace. 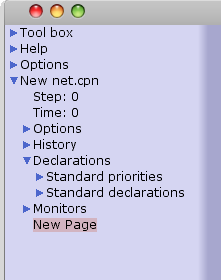 A ‘New net’ entry then appears in the index. 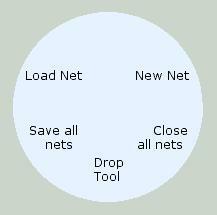 It is possible to have several nets open at a time. To change the name of a page, click on the page name and edit the text of the name.